Wichita State 64, Cal Poly 37. Cal Poly is not good, but that was still a no-mess-around showing from the Shockers. With 36 points, Bryce Cotton has matched the most ever scored vs. UNC in an NCAAT game. On #TNT : Providence and #UNC are going shot for shot; under two to play tied at 74.
here we go folks...get to #TNT to see how the #UNC vs. #Providence game plays out. 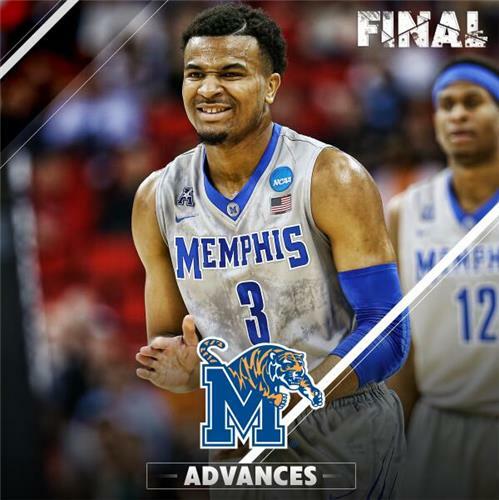 Under 3 to play. .
Memphis will escape with the W. Josh Pastner, crew get to the round of 32 two years in a row. Gritty comeback by GW. Nice year for Lonergan. Michael Dixon Jr. is headed to the line for Memphis with the Tigers up 67-66 with 9.6 to play. We repeat GET TO TBS! Joe Jackson is headed to the line with Memphis up 67-66 with 10.9 to play. We repeat GET TO TBS! 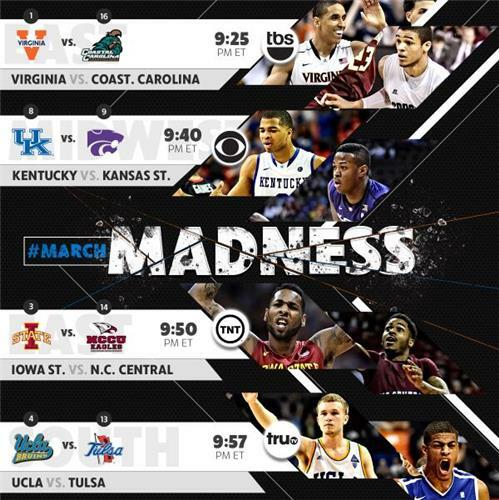 NDSU vs SDSU, MichSt vs Harvard #TNT and Thx RT @K_Cook8 : @GottliebShow what games are you on this weekend? Awesome job yesterday. Getting interesting here in Raleigh on TBS. Memphis 64, George Washington 62 with 2:17 to go. GW on a 7-0 run.